Heavy duty suction cups with hooks. Suction Cups Direct. 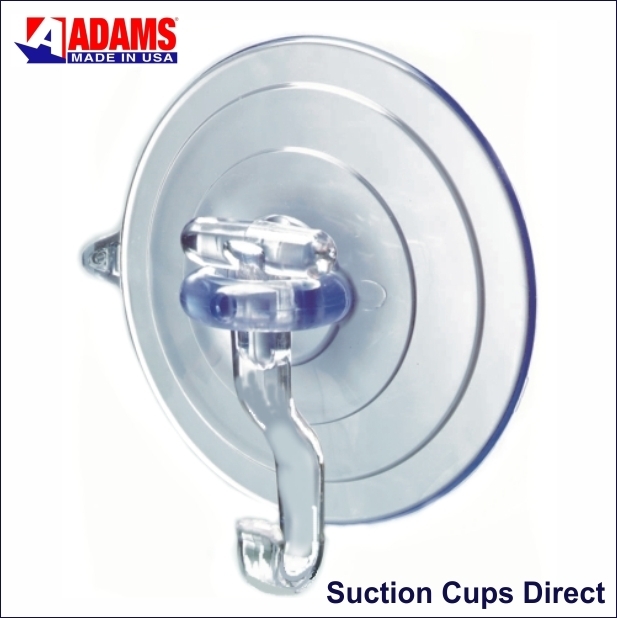 Adams giant suction cups with hooks will hang heavy items up to 12 pounds (5.5kgs) with their strong, clear Polycarbonate standard low profile hook. 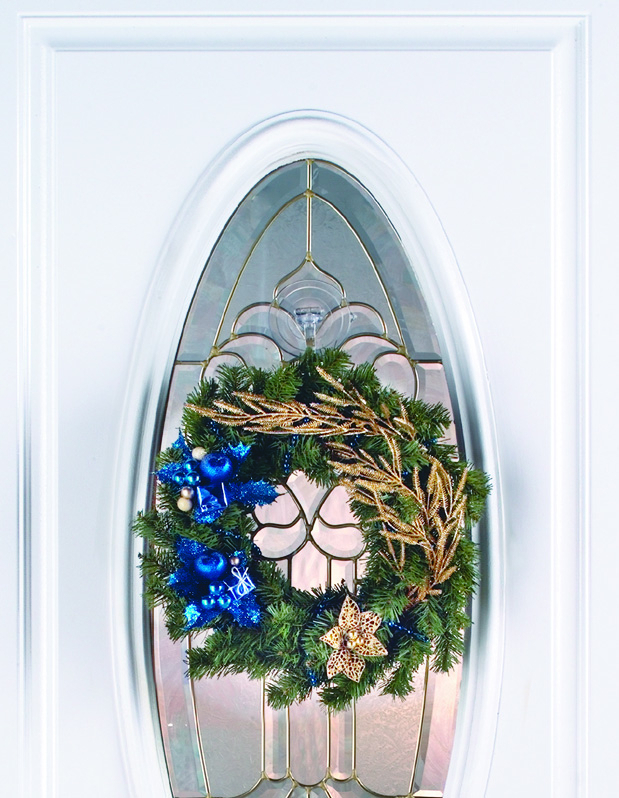 This product is useful for hanging a Christmas wreath or any heavy object on a clean, dry, flat, slick/shiny non porous surface like glass, mirror, glazed ceramic tile and non-textured glossy plastic like a plain UPVC door. 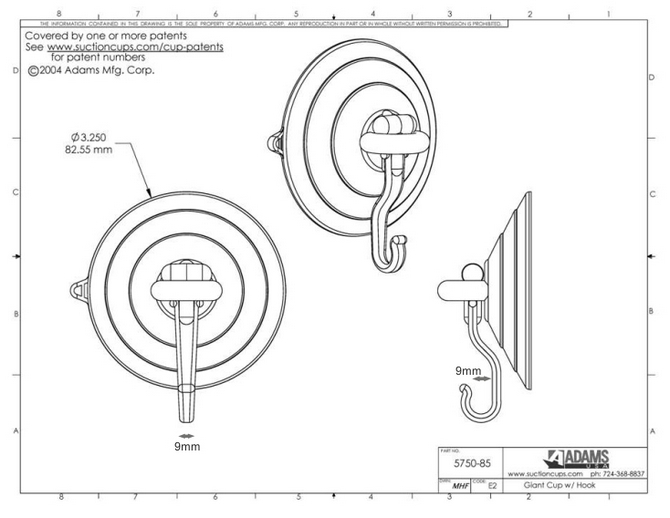 Adams extra large suction cups at 85mm in diameter are also ideal for hanging a towel or robe in a bathroom. There is a quick release tab on the cup edge to remove or re-position. We have a similar large strong suction cup described as a heavy duty suction cup with large hook which has a slightly lower weight rating of 4.5kgs. See Why Adams Worlds Best.